"God's Pocket" is the sweetest cottage is the Village! The inside is clean bright and completely charming! GREAT views from the deck, dining area and master bedroom! The path to the beach is 30 feet from the front door! Newer furnishings throughout! This one story village charmer is one of the most sought after houses in Dillon Beach. You can not beat the proximity to the beach and vacationers return to this warm cottage year after year. The bedrooms are vibrant and welcoming. The first bedroom has a comfy Queen bed and is bright and cheerful. The master bedroom has a queen bed with great views of the Pacific below. Sliding glass doors allow you to step out on to the deck and breathe in the fresh ocean air or jump into the hot tub! Fall asleep to the sound of waves breaking on the near-by shore. There is an enclosed backyard for those of you with small pups. If you are looking for a place to relax, listen to the waves and reconnect with nature and your favorite people, God's pocket is perfect for you! Friendly reminder 4 people max day or night with a 2 car max. Clean, well equipped and lovely as each time we come. Unlike other places we have stayed in, someone has thought of all the things usually missing; olive oil, binoculars, good puzzles n books, foil!!!. We will return. We had a wonderful stay over the Christmas Holidays. There was an amazing view of the ocean from almost any room in the house. We enjoyed the deck and spacious backyard was great for our dogs. The hot tub was definitely put to good use. The proximity to the beach was great. We have rented many houses in the village over the last 35 years...although smaller than most we have stayed in, we would certainly consider another stay at God's Pocket. The only thing missed was a dishwasher with all our holiday meals. Manager response on 2018-12-30 - Response from Dillon Beach Property Management, Inc. Manager response on 2019-03-19 - Response from Dillon Beach Property Management, Inc. It was a perfect spot. 3 minute walk to the beach. Ample room for 3 people. Clean, quiet, a beautiful view of the beach. 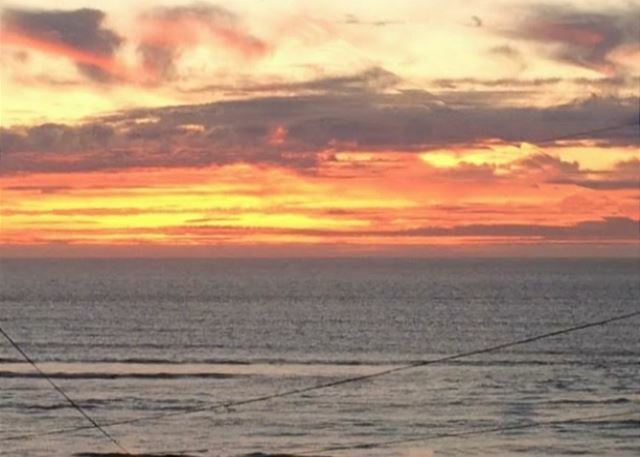 Manager response on 2019-03-01 - Response from Dillon Beach Property Management, Inc.
rented God's Pocket for two nights and had a spectacular time at Dillon in this lovely little home. Very thoughtfully designed and very comfortable. Short 3 min walk to beach. Manager response on 2019-03-20 - Response from Dillon Beach Property Management, Inc. This is the third time I have rented this cottage and being a frequent flyer of , this is my favorite. Very comfortable setting, beautiful views, kitchen always well stocked and short walk to beach makes my experience amazing. This location provided everything you dream of in Dillon, beautiful views, a quick walk to the beach, a lovely deck, a parking space! It was nicely equipped with everything you need for a beach stay. The house isn't modern, but is quaint and lovely. The communication/support from the rental agency was excellent and I would absolutely rent this house and/or from this agency again. This is the second time we have stayed at this cabin and it was just great! 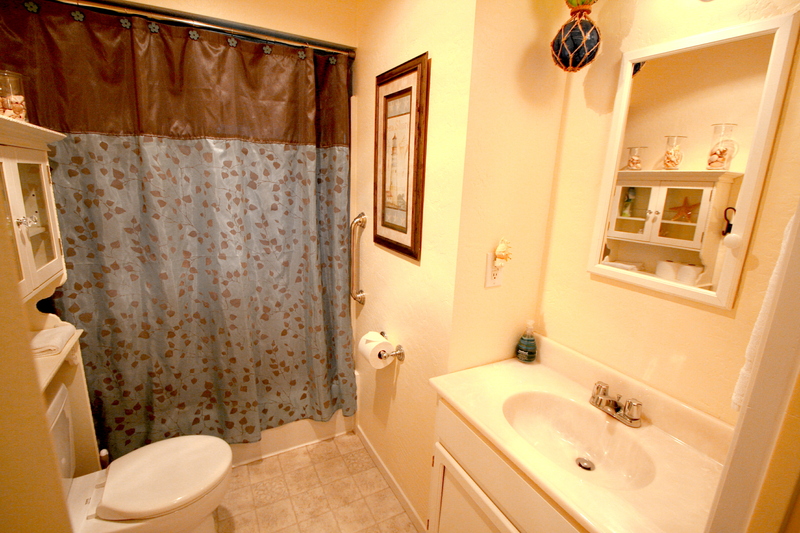 Very comfortable and convenient, with many little amenities that push it over the top to outstanding. Location and view couldn’t be better. 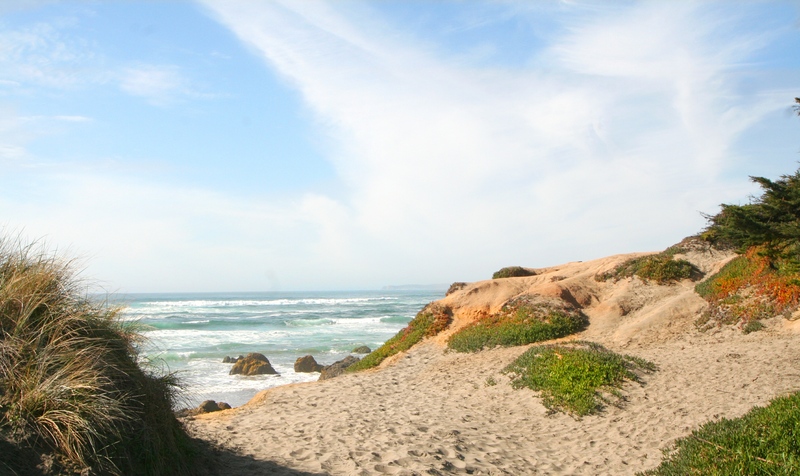 Manager response on 2018-11-28 - Response from Dillon Beach Property Management, Inc.
We really enjoyed Dillon Beach and this was a great spot to do it from. Manager response on 2017-08-30 - Response from Dillon Beach Property Management, Inc.
God's Pocket was absolutely wonderful. The view from the back deck was amazing. The cottage was cozy, and the kitchen was well-appointed with anything you may need to cook (pots/pans/utensils/etc). My mom and I stayed here for 4 days/3 nights. The beds were very comfortable. While the cottage shows its age here and there, everything was very clean, including all provided linens. The property allows dogs (we didn't bring any), but it is so well-maintained, you would never know (no smell or stains). We ran into a small issue with the toilet leaking and the management company was great to work with, very understanding and quick to fix the problem. We loved the location, you can easily access the beach, cafe, and general store. A minor thing I did note was the shallow driveway (a little difficult to park my mid-size SUV rental). I also wish there was a fire pit or outside fireplace to enjoy the beautiful view in the cooler evenings, but I do completely understand not trusting random renters to follow proper fire safety rules! An easy compromise was sitting in the dining room in the evenings in front of the huge picture window that has the same view of the ocean from inside. Along the same lines was an electric fireplace heater in place of an actual fireplace; a little disappointing, but not a huge deal. I would definitely stay here again. It was my first time to Dillon Beach, and I truly loved it. God's pocket is charming little cottage. We were there for 3 days and had a wonderful time. A little Christmas tree, nicely decorated, greeted us when we entered. We were immediately drawn to the kitchen where a wall to wall window offered a panoramic view of the ocean and beach. The fireplace in the living room added to the comfortable atmosphere. The kitchen had all the needed tableware and appliances, the beds were OK except for the comforter - all the filling had migrated to the sides and corners, leaving 2 thin sheets of the duvet to cover the bed. That and ill fitting front door, which was manageable are my only complaints. I would certainly return to this property. Manager response on 2017-12-29 - Response from Dillon Beach Property Management, Inc. I almost don't want to write about this incredible gem of a cottage, because I want it all to myself! This location is truly God's Pocket- amazing, clear views of the ocean, a hot tub on the deck and a perfect garden for the dog to run around. The interior was clean, well-stocked with amenities, from the kitchen to the TV, bedrooms and a simple, but clean bathroom. The kitchenette has a sweet breakfast nook and cozy chairs to sit by the bay windows and watch the water when it's too chilly to go outside. It was a perfect midweek escape, we'll definitely be back- soon! Manager response on 2018-02-20 - Response from Dillon Beach Property Management, Inc.
House is conveniently located so close to beach you can hear the waves, walk to beach, great views from inside and outside of cottage, COMFORTABLE beds, really nice Jacuzzi, well stocked kitchen. Will be back again! Manager response on 2018-01-01 - Response from Dillon Beach Property Management, Inc. Manager response on 2018-02-27 - Response from Dillon Beach Property Management, Inc.
We had a very relaxing time. Our dog loved running on the beach and taking walks around the community. Everyone is very friendly. The view from the dining nook window is the best. Our first time at Dillon Beach. It would have been helpful to know that the Cafe was closed and no grocery store nearby. Got some provisions in Tomales and had a very nice dinner at Dinucci's. We should have stayed another day!! Manager response on 2018-08-08 - Response from Dillon Beach Property Management, Inc.
Great views , very comfortable, had everything we needed! Will go back! Manager response on 2018-05-16 - Response from Dillon Beach Property Management, Inc.
We had a lovely, relaxing weekend at God's Pocket, a cozy, well equipped cabin with great views. Would definitely stay there again. 1st Time VBRO. SO impressed. Everything possible was available, spices, food wrap & baggies, games, blankets by the fireplace. Home was immaculate, beds comfy. Only downside was windy road & fog. We’ll be back in a heartbeat. Dog super happy too. Great fenced yard. Loved it here. Friendly neighbors. Manager response on 2018-08-15 - Response from Dillon Beach Property Management, Inc.
best ever vacation with my 95 year old mom. I rented this cute little cottage for my mom and I. She has been going to Dillion Beach since she was 5 years old. She had not been there in many years since she was caring for my father. After his death I wanted to take my mom there again while she was still able to enjoy the experience. I towed a golf cart there. We were able to go to Lawsons Landing every day where she had fished and crabed with her father , and experience the amazing sunsets on the beach. It will be the best memories of may life. My mom is so thankful she was able to go. She didn't think she would see Dillion beach again. We are planning next years trip! Manager response on 2018-06-28 - Response from Dillon Beach Property Management, Inc. The best part of God's Pocket is the attention to detail in what is there, especially the kitchen with varieties of glass and plastic and thoughtful extras like coffee and plastic wrap/baggies. I have stayed in numerous Dillon Beach rentals and have never had such amenities. Manager response on 2018-07-16 - Response from Dillon Beach Property Management, Inc. Manager response on 2016-05-27 - Response from Dillon Beach Property Management, Inc. Manager response on 2016-06-19 - Response from Dillon Beach Property Management, Inc.
Our stay was absolutely was more spacious than I had expected and all the amenities of a cozy, true "home away from home" (i.e warm throw blankets, extra pillows, space heaters for the cooler mornings, etc). We loved the views from every room and my husband appreciated the excellent television system in both the living room and master bedrooms! (I told him he would need to bring several books, so as more of a news-skimmer, he was thrilled to find his favorite shows!! I, on the other hand, was able to finish two books both on the lovely back porch and on the beach!). The daily long walks on the beach were especially enjoyable, and we loved finding several paths to get there...one was more scenic and aerobic, one allowed us to enjoy the beautiful little houses in the neighborhood, and another took us out closer to the little store and cafe, which served the best clam chowder I've ever tasted! 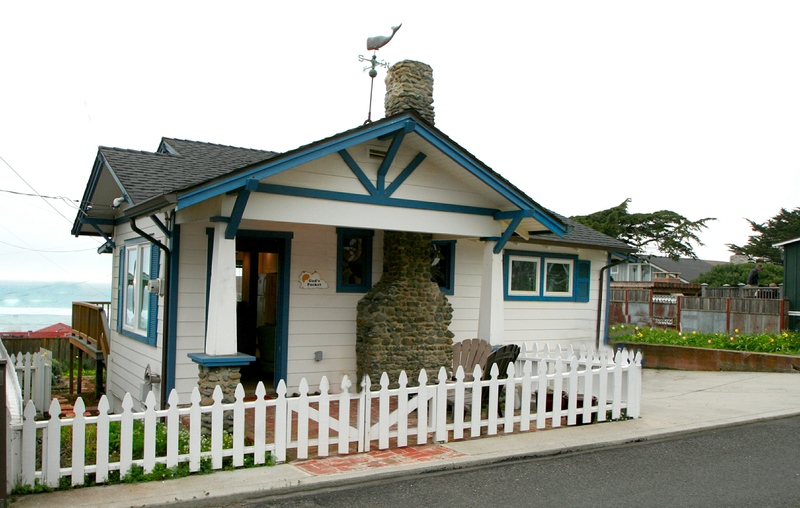 Manager response on 2016-07-04 - Response from Dillon Beach Property Management, Inc.
We were very delighted with the cottage & especially the location on Summer St.
A nice quiet street with perfect access down Bumblebee lane to the beach. And the Dillon Beach community & dog friendly beach was wonderful. My son & daughter-in- law brought their dog & she did great on the beach. Having the cafe , store & The quaint town Tomales nearby was a plus too. Just as describe. A lovely well stocked cottage. Manager response on 2016-12-10 - Response from Dillon Beach Property Management, Inc.
My girlfriend and I booked 3 nights and had a wonderful stay. It was a rainy weekend but we stayed inside enjoying each others company working on a puzzle watching TV and enjoying view from the hot tub. When the rain broke it gave us the opportunity to stroll the beach with our dog... it also gave me the opportunity to propose marriage to the love of my life...she said "YES"... the home was very clean and comfortable with every thing we cold possibly need. The diveway was short and my F250 extended cab truck stuck out onto the street a bit. We definitely would come back again. The view from the home is one of the best in the village. Manager response on 2016-11-01 - Response from Dillon Beach Property Management, Inc. I have nothing bad to say about my experience renting the God's Pocket house, it was wonderful!! Manager response on 2016-10-24 - Response from Dillon Beach Property Management, Inc. The house was just perfect for the three of us - comfortable and cozy. We spent most of the time in the "breakfast nook" or on the deck enjoying the ocean view. The location was so convenient - a very short walk to stroll on the beach or to the store/cafe. We did notice the fireplace did not seem to work. It was a perfect stay. I loved that we could bring our dog, that there was a fenced yard and best of all, the ocean right outside the back door. We will be back!! Cozy, quaint, and quite perfect. Manager response on 2017-07-21 - Response from Dillon Beach Property Management, Inc.
First time staying at Dillon's Beach and it was amazing. Brought the kids and even the dog. Already looking to come back and stay at another property here in the next month. Addicted!! Warm,welcoming,clean cottage-nice extra touches-music and lights were on when we arrived-chocolate and sparkling juice in the kitchen. Good beach views from the dining area and one of the bedrooms, how cool and relaxing ! Dining area is a charm. Good short walk to beach. Hope we can come back again. Everything was great. The cabin was so cute and cozy. It had everything we needed. Loved the hot tub and the view was fantastic. Our grandaughter loved it too. Super sweet spot, walked to the beach twice a day, loved the balmy breezes. Great time of year to be here. The home had everything we needed to relax and have a wonderful couple of days.